5 Tips for Organising Your Property Viewing Trip to Italy! Home » Tips and advise » 5 Tips for Organising Your Property Viewing Trip to Italy! Spring has just begun and with warmer temperature in the forecast, we can’t help but daydream about relaxing in the sun. What better time than this to organise a viewing trip to Italy to visit the properties that best suit your needs? 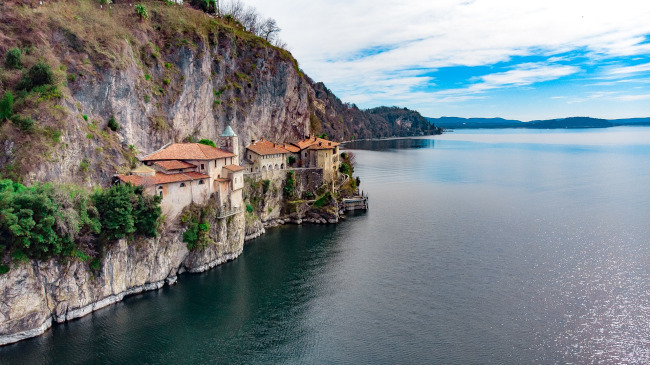 Since a disorganised trip could be a nightmare, we’re here to help you with some useful tips so that you can make your stay in the bel paese really worthwhile and maybe combine it with a bit of a holiday too! 1. After choosing your preferred area, don’t focus on just one single property. Choose different homes and contact the owners or the estate agents managing the sale of the houses in order to organise a tour of all properties. This way you’ll have more chances of finding the one that fits you the best. 2. Make a list of questions you may want to ask during the visit and don’t forget to ask what’s included in the sale or how many offers has it had. You may also want to know why the vendors are moving and how friendly the neighbours are. In the MyGate-away area on Gate-away.com you can save your favourite properties and make notes of any further info you’d like to have. Have you registered yet? Sign up for free now, click here. Use MyGate-away to jot down your thoughts and questions. It’s easy and very useful. 3. Make a list of things to check during your visit. There are some important things to check before making an offer on a property. For instance look for mould, cracks and damp stains on ceilings and walls. Then open doors and windows to check they close properly and examine all the locks for signs of break-ins. Finally look at sockets and switches and test them. 4. Book your flight and accommodation in advance. Italian hotels are usually small and if you are looking for a B&B or an agriturismo, they have even fewer rooms. This means that you have to move early if you want to guarantee the best locations. When choosing the right period, avoid school holidays, if possible. You will find more affordable prices both on flights and accommodation. 5. Take notes about things you want to remember (see point 3) about the properties you visit. Now you’re ready to come to Italy and find your dream home! Happy house hunting!